Discover the state yogis call “true happiness.” Contentment is not a mysterious occurrence—it’s a behavior, a conscious decision, a choice you make each moment of your day. Happiness is an “inside job,” because energy follows thought. And while yogis teach that this state of contentment is your birthright, it takes steadfast practice to live this way. Take your practice off the mat and into your life. Jillian Pransky weaves mindful vinyasa yoga, restorative yoga, and deep relaxation with metta (loving-kindness) meditation, mudita (joy) meditation, and nature walks to help you grow beyond habitual patterns. As your body and heart relax, you naturally open to new possibilities. Recommended listening Jillian Pransky, Relaxmore (CD). Note: Come prepared for outdoor time each day. Bring good walking shoes or boots, a journal, and a small altar item such as a photo, nature item, and religious or spiritual relic, to create a personal practice space that is inspiring and uplifting. *Tuition only. Cost of room and board will differ based on choice of accommodations. 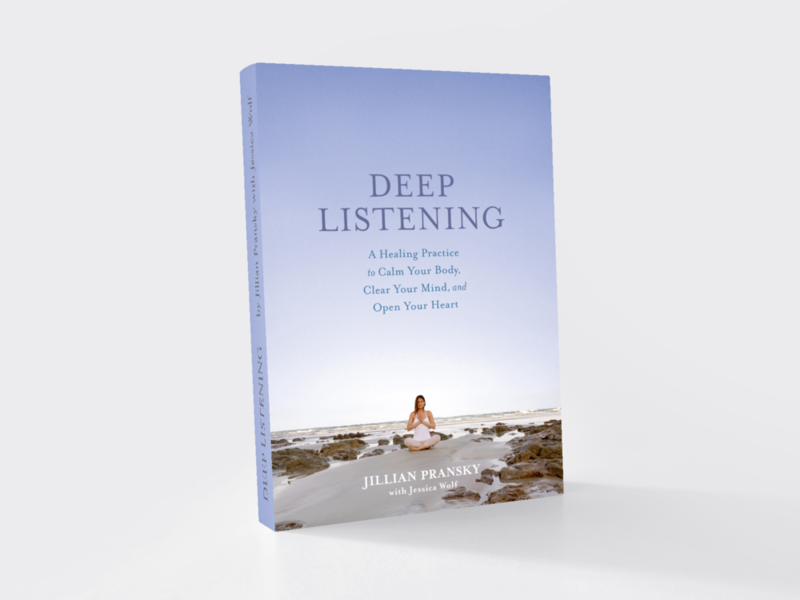 Deep Listening Book Release Available In Stores Now!